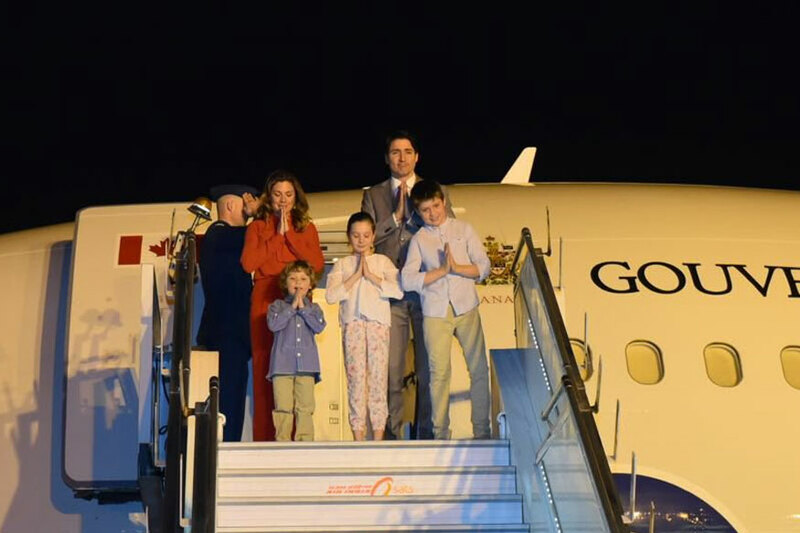 'The India-Canada relationship has suffered benign neglect. Its full potential has not yet been realised,' says Rup Narayan Das. Britain on Thursday accused the Russian military of being behind last year's "NotPetya" cyber-attack, which started in Ukraine and Russia before spreading globally, affecting thousands of computers. Shiv Sena Chief Uddhav Thackeray will be meeting Maharashtra Chief Minister Devendra Fadnavis, on Thursday over widespread objection on an upcoming oil refinery in Ratnagiri district.Thackeray will be accompanied by a delegation of locals from Ratnagiri who are opposing the project.It is notable that the Shiv Sena has announced a break-up from its ally in the state, Bharatiya Janata Party (BJP), and will be contesting the 2019 general election alone.The chemical industry projects in Ratnagiri are also part of Shiv Sena's grievances with the BJP, given the projects require displacement of several houses in the area as well as pose health hazards.Locals are up in arms over the West Coast Refinery and Petrochemical project proposed to go on floors in Ratnagiri district along the Konkan coast, and have staged protests as well.Besides the refinery, the Jaitapur Nuclear Power Project is also proposed to come up just 15 kilometers away. The visit is meant to resuscitate plans for the Kovvada nuclear project. The post Activists Protest Against Westinghouse Officials’ Visit to Andhra Pradesh’s Kovvada appeared first on The Wire. Turkey has faced criticism after its warships continued to impede a rig from reaching a location off Cyprus where Italian energy company Eni is scheduled to drill for gas. Cyprus government spokesman Nicos Christodoulides yesterday told state broadcaster RIK that the rig remains anchored about 50 kilometres from the drilling target off the island nation's southeastern coast. He said both the government and Eni are focused on ensuring that drilling goes ahead as planned. The Turkish warships also prevented other merchant vessels from approaching the area, citing ongoing military manoeuvres, Christodoulides said. Cyprus says a Turkish notice blocking off the area for military activity violates international law and is legally invalid. In 1974, Cyprus was divided into a Greek Cypriot south, where the internationally recognised government is seated, and a Turkish Cypriot north that only Turkey recognises and where over 35,000 Turkish troops are stationed. Turkey opposes the . 'It is strange that a country like India, which had gone through crisis after crisis resulting from militancy, insurgency and terrorist attacks, should still be practising ad hocism in managing its security imperatives,' says B S Raghavan, the distinguished civil servant and former member of the Joint Intelligence Council. President Omar al-Bashir today said that Khartoum and Moscow have agreed on a programme to boost Sudan's military capabilities. In an address to army officers and soldiers in the Red Sea town of Port Sudan, Bashir said the plan aimed to enable the Sudanese military to counter any threat. He said "Sudan has a programme with Russia to develop the Sudanese armed forces in a way that will deter anybody who intends to harm the country", the official SUNA news agency reported. SUNA gave not details of the plan. Bashir's comments follow his visit to Russia in November, where according to Sudanese media he asked his Russian counterpart Vladimir Putin to "protect" his country from the United States. The visit came just weeks after the United States lifted its trade embargo imposed on Sudan in 1997. During his trip, Bashir also asked for Moscow's cooperation in the field of nuclear power, according to media reports. Sudan's air force is comprised mainly of Russian warplanes, and .